Since we are not planning a festival stop this September, we decided to have a little mini-festival of our own with some friends. Let me say that we had the time of our lives. 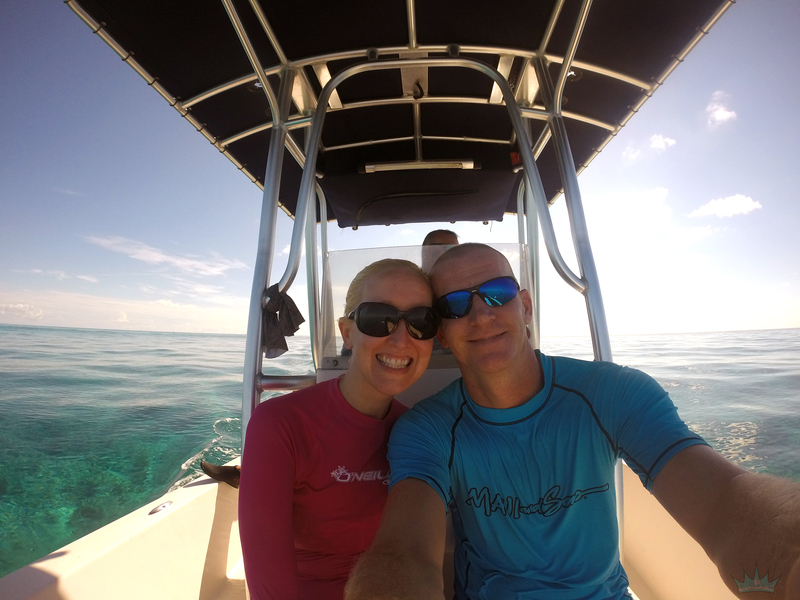 One of our good friends invited us to come dive in the Keys. Of course, we jumped on the opportunity! We recently picked up a GoPro as well and we were pretty anxious to play with it. We headed out and met up with our friends Steve and Ashley. 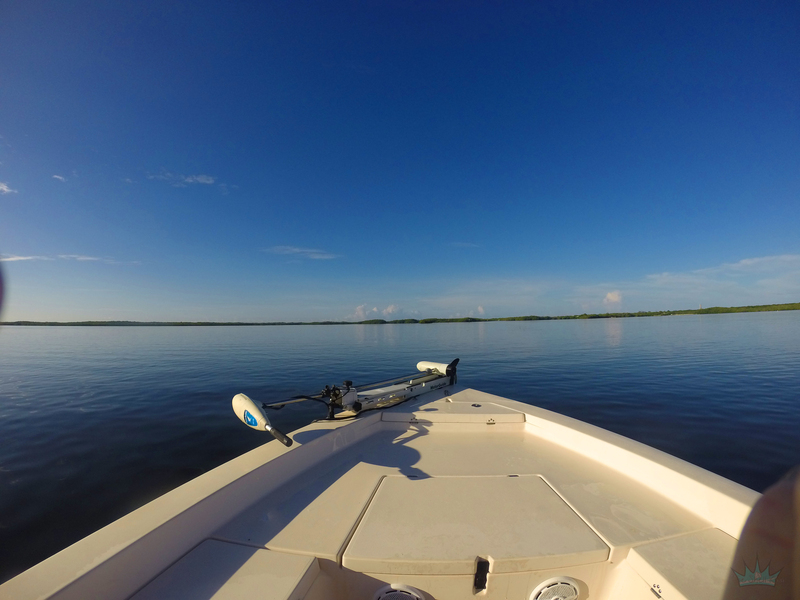 A big breakfast at Evelyn’s in Key Largo prepped us for an exciting day on the water between Key Largo and Tavernier. The water was warm, turquoise blue and clear as far as the eye could see. 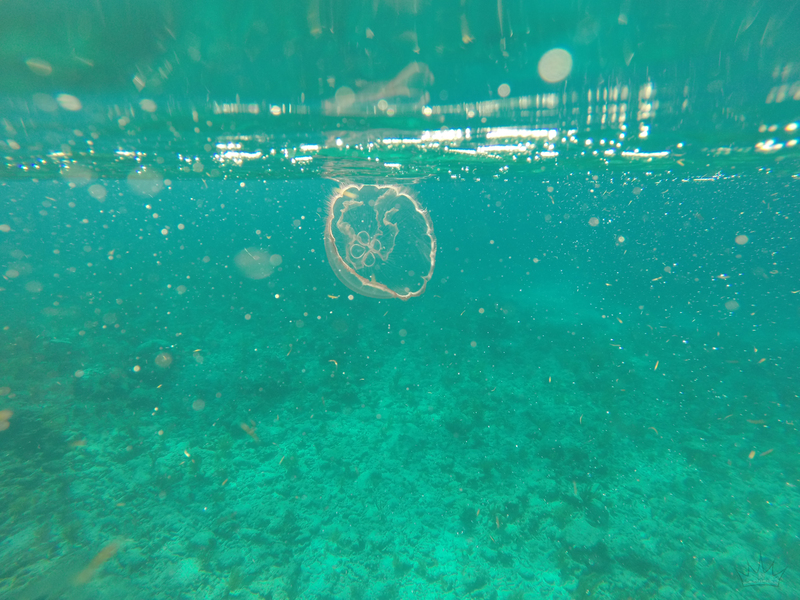 And we saw a lot of these guys – Pink Moon Jellyfish. When I say a lot, I mean hundreds. Now, some people say that the Moon Jellyfish doesn’t sting. They would be incorrect. Take a good look at the picture below. I can attest that they DO in fact sting, and it hurts like hell. The Queen tried to tell me to look out for it in the water as I was coming up for air….I came up right into the maw of a huge moon jelly. It wrapped around my head and got me in the mouth with its little tentacles. It felt like someone caught my face and neck on fire. Within 10 minutes, my lip swelled up and it looked like someone punched me in the mouth. After two hours, I felt a little sick….In all, I got stung four times. They do sting and it hurts. 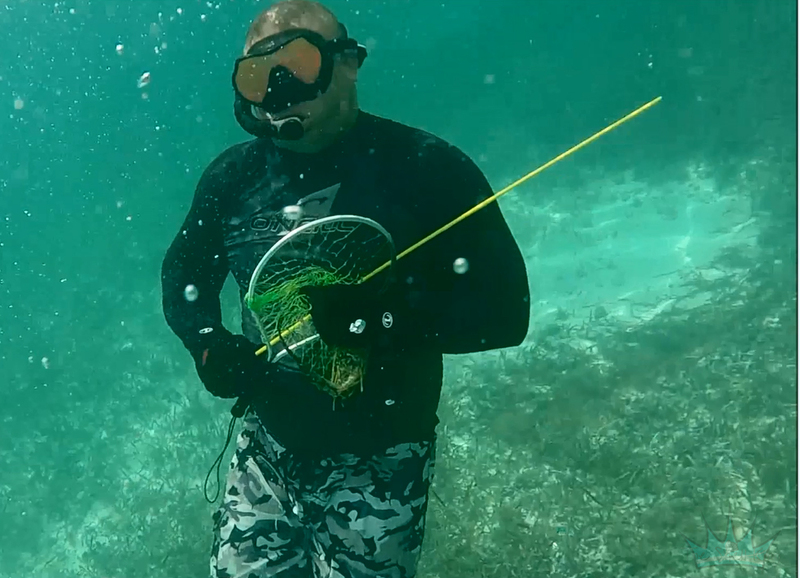 Steve passed over a sandy area and we both spotted something huge in the water. So we stopped and jumped in. 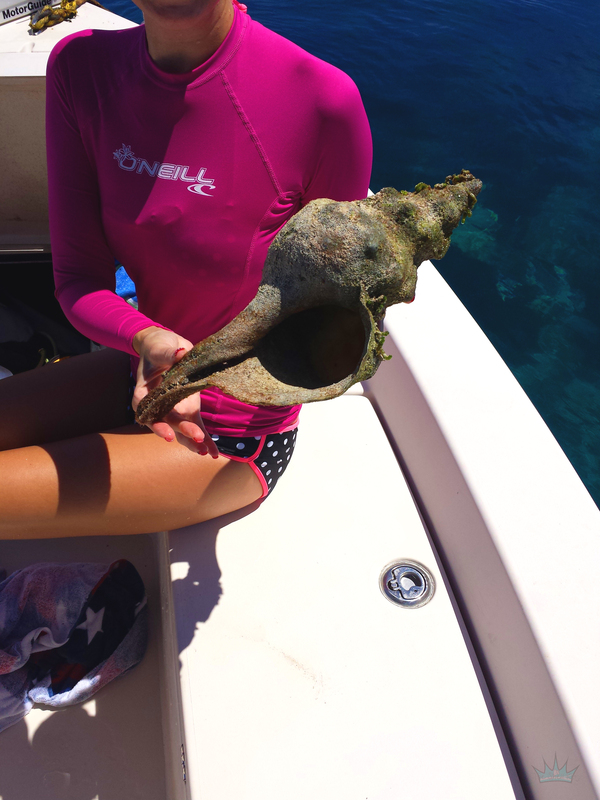 Turns out it was a completely empty 18″ Horse Conch about 16-18 feet below the surface. Biggest one I’ve seen. That thing is a BEAST. Once it gets all cleaned up, I’m sure it’ll look awesome. 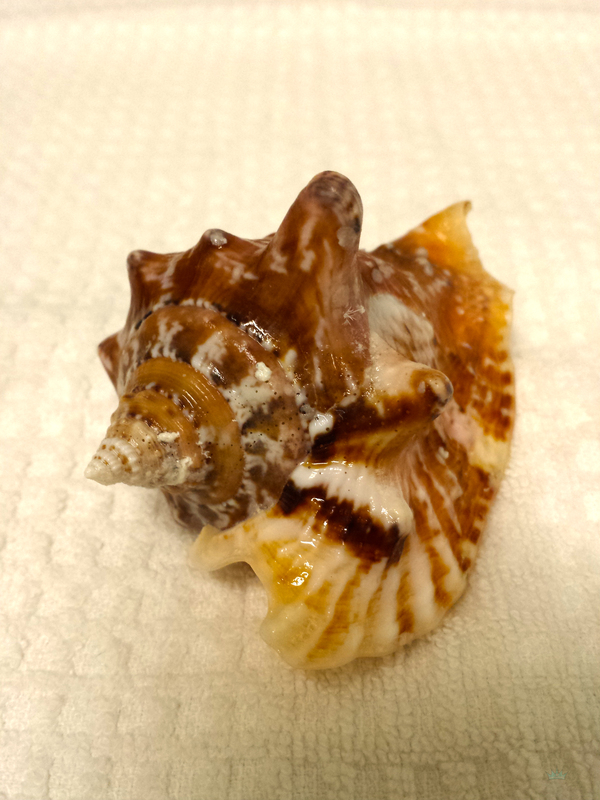 Steve and Ashley also found a few Queen Conchs as well (sorry I didn’t snap any pics!). I’m sure they will look just as awesome once they’re cleaned up. 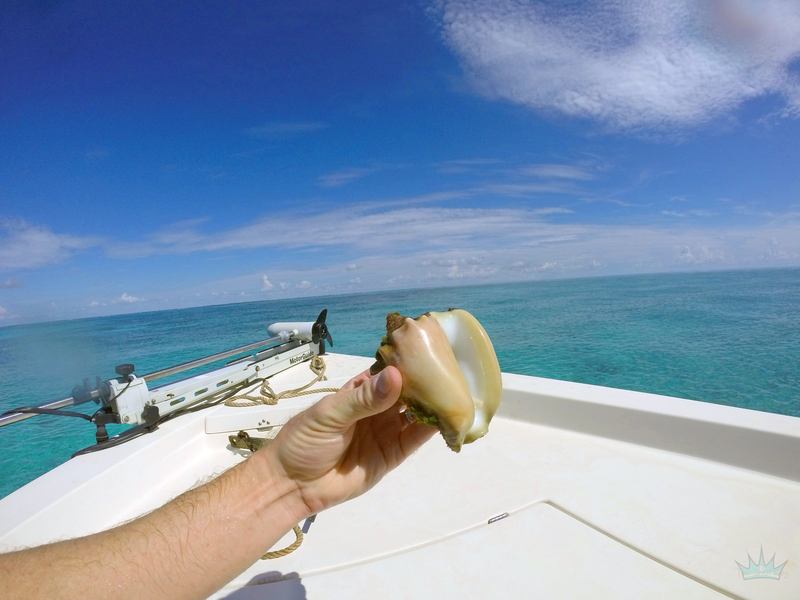 We also found many Milk Conchs…. 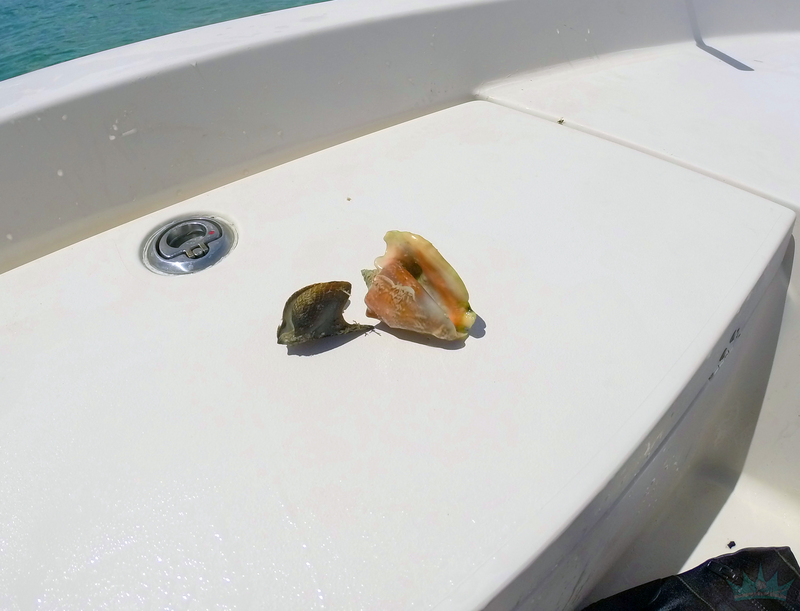 And several Hawkwing Conchs…which cleaned up nicely. 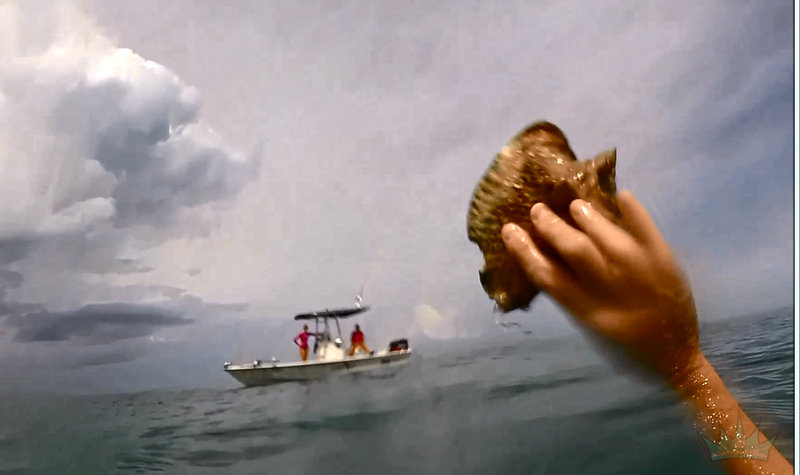 As well as a killer Wing Oyster of some kind and a ton of HUGE Sunrise Tellins. Another reason for going was to hopefully get our hands on some lobster. Well, my buddy Steve and I did grab a couple of them while we were in the water. Unfortunately, they were too small so we threw them back. 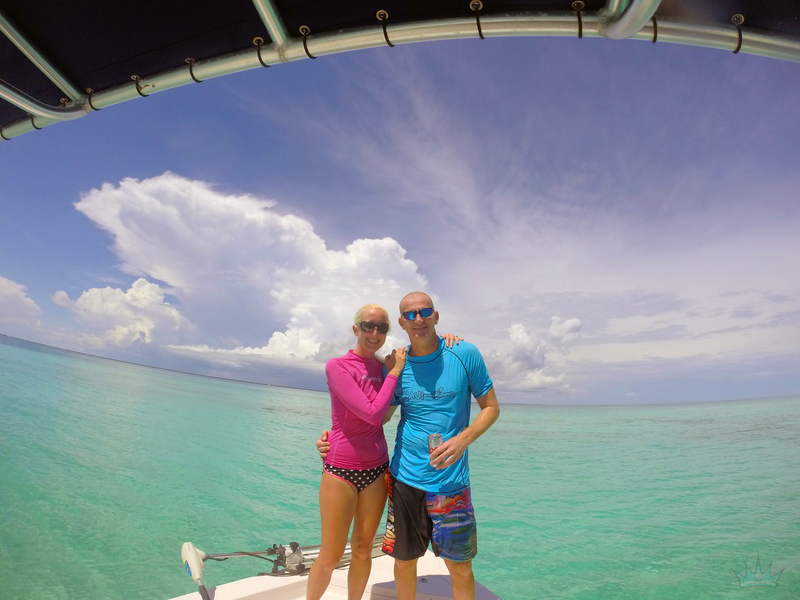 Warm, clear water, good friends on a boat in the Keys? Can it get any better? I don’t think so, my friends. A big thanks goes out to Steve and Ashley for their hospitality. We had a wonderful time. This HAS to become a habit! Oh yeah, I did a little compilation video on Youtube. Click the fish pic below to check it out. Be sure to click the settings button and set it to 1080p HD to get the full effect. 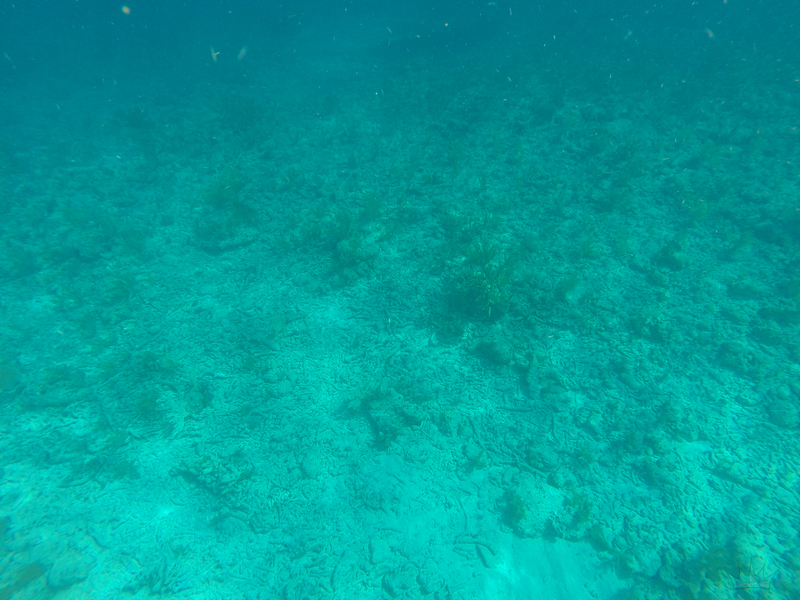 There might be a sea turtle and a barracuda in there somewhere.